Touch screens have in fact changed the way the customers are looking at with reference to the product profiling and to possibly increase the sales count. The touch screen rental Dubai in this particular horizon have rose to the methodology to engage the customer’s with their self-explanatory concept thereby reducing the human intervention for active conversions. 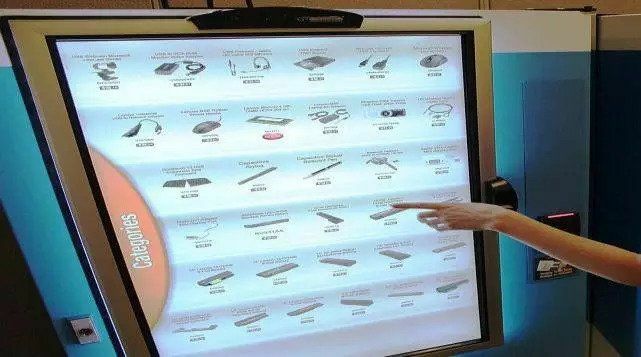 How Touch Screen Being Kept As A Kiosk Becomes The Game Changer? As mentioned above, the touch screens have become the prolific instruments for active conversions since they bring in the engagement model with them and one can imagine if the touch screens are being kept in the form of touch screen kiosk could impact the potential audience who further become very much enticed to dwell deeper to understand the deeper insights of the product. As an analogy, one need to understand that touchscreen kiosks have emerged in the consumer market to bring about a concept called as the self-service, this self-service as a concept has been driven with a motto of increasing the sales funnel which indirectly meant to increase the productivity and presumably this sales funnel and productivity happens very quickly and significantly consumes very less time. How Touchscreens Have Become The By-Product Of Technology Impact? In fact, it goes without mentioning that touchscreens have presumably become the tool which has become the amalgamation of cutting-edge software and has turned out to be the most sophisticated technology which could easily correlate the users to your business model. Arguably, the conversion factor for most of the sales happening through touch-screens have become more dynamic in real-time. How Do Touchscreens Become Instrumental In Replacing The Key Board? Touch screens in the recent times have become more of a user-centric device and have presumably replaced the traditional key board and mouse for typing and navigation respectively. The touch screens have constantly enabled the customers to key in certain commands themselves so as to execute certain programs themselves. Touch screens in today’s paradigm, have transformed as a multi-faceted device in itself as it could easily accommodate more than two to three users at once in terms of multi-touch navigations. Anecdote: In the recent development in the consumer market, the touch screens have hit the market which is completely engineered for commercial applications backed by the most advanced touch technology in place which brings about ultra-fast, reliable and responsive. The touch screen brings with it the blend of OEM parts and has the ability to bring about multi-touch compatibility. VRS Technologies have been in the market since decade and have been constantly upgrading themselves to the growing demands of the customer and their specific mandates. As a entrepreneur, if you are specifically looking out a upgraded touchscreen model for your specific accomplishments; please approach us at VRS Technologies and call us at +971 4 3866001.